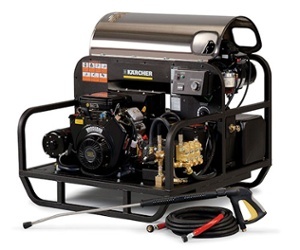 The upright design changed the way we look at pressure washers when it was introduced in 2010. It was a completely new concept for hot water pressure washer that opened up a new dimension, the vertical. All elements of the HDS upright have been designed on the vertical, from the mechanics and equipment to the control elements. This design brings with it new possibilities and, above all else, unrivaled mobility.